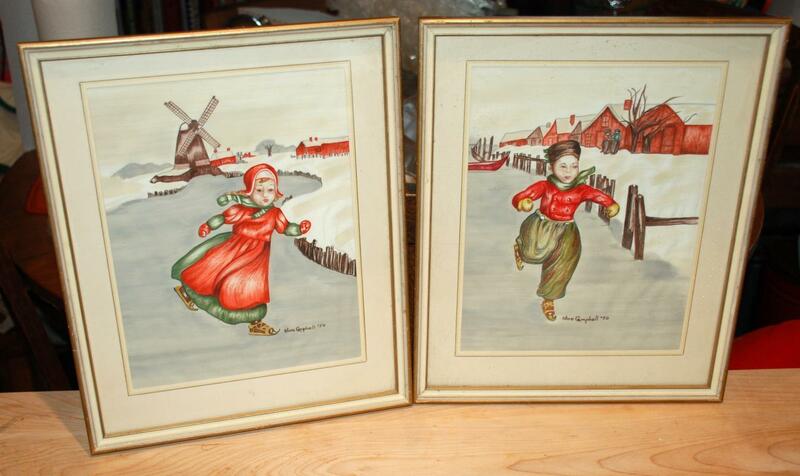 Dutch Boy & Girl Ice Skaters, Watercolor Painting on Siilk Pair, Signed Olive Campbell and dated '50. They are framed behind glass. 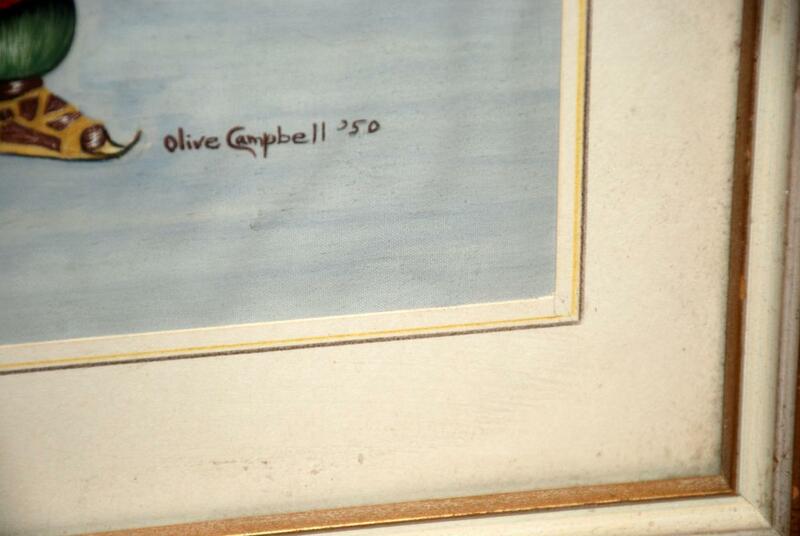 The frame is 13 x 11 inches. Perfect for a child's room. I pealed the back off just enough to determine that the meduim was slik fabric. 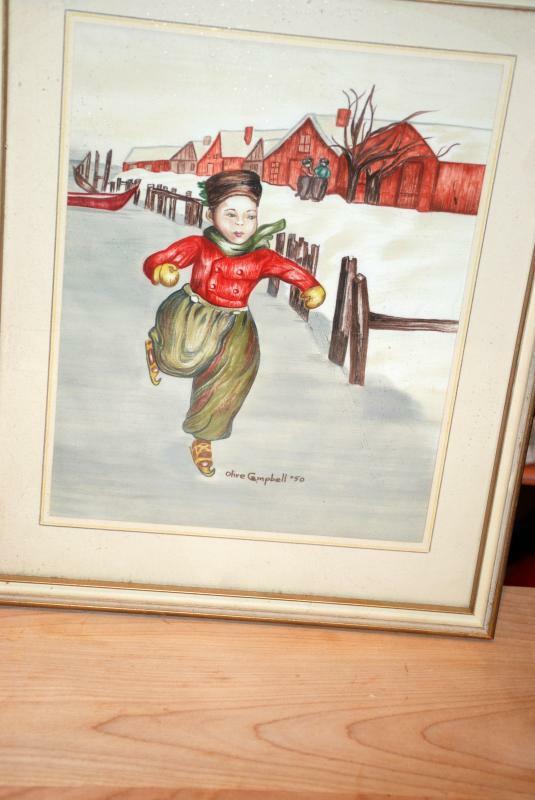 But did not remove them from the frame. They should probably be reframed to tighen up the fabric as there is some wrinkles in them , especially the girl. But you can get by with hanging them as is. 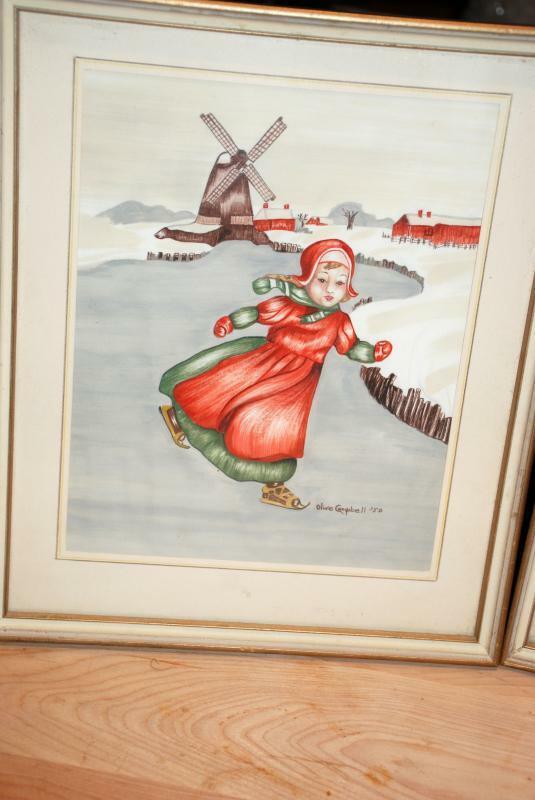 Items Similar To "Dutch Boy & Girl Ice Skaters, Painting on Silk Pair, Signed, da..."